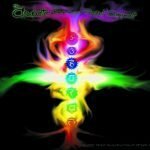 In an earlier article, 7 Chakras, 7 Sacred Directions – part 1, I discussed the meaning of the word ‘chakra’ and its origins. The word ‘Yoga’ also has Sanskrit roots. ‘Yuj’ which means to join and in its most spiritual sense, yoga attempts to facilitate the process through which a yogi can identify the Jivatma and Paramatma. Through proper practice of yoga the human soul is said to be brought into conscious communion with God. Yoga is designed to inhibit the distractions or ‘monkey mind’ and this leads to knowledge of the universal spirit in its true nature. This is achieved through Abhyasa and Vairagya or Yoga Sutras. One type of yoga is Kundalini. According to the Kundalini Yoga Teachers Association for Australia and New Zealand, “Kundalini Yoga is a transformational practice which uses mantra, mudra, dynamic posture, breath and meditation to relax and heal you physically, mentally and spiritually so that you may live a life of health, peace and harmony”. The New Age Spirituality Dictionary extract on the Global Oneness website defines ‘Kundalini’ as: “A coiled female serpent. 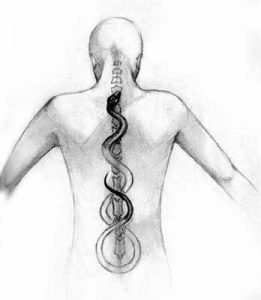 The elemental, creative force of the astral body which, like a serpent, rests coiled at the base of the spine.” Within the body, the male and female forces are balanced exactly in the subtle energy channels known as Ida, Pingala and Sushumna . 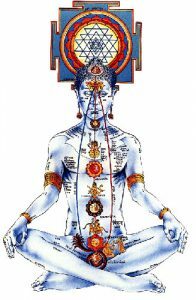 Everyone uses the power of Kundalini to think and to maintain consciousness,however it very rarely travels up the spinal channel (Sushumna) further than the first chakra. A variety of disciplines or yogic techniques claim to arouse the energy of the “sleeping serpent” and cause it to rise to the higher chakra centres. Sri Chinmoy states that, “Kundalini yoga is also known as ‘Prana’ yoga and carries the meaning of life-energy or life-principle of the universe. By providing this introduction to what Kundalini is asserted to be, I have shown the spiritual connection to universal energy. This energy is the same energy that empowers the chakras within our bodies. Kundalini yoga recognises that universal energy is admitted to the body through one of 3 nadis or energy channels mentioned above as Ida, Pingala and Sushumna. Ida controls the left side of our bodies, Pingala the right and Sushumna carries the universal life-energy or universal light-consciousness down our spine to connect with the mother-goddess or ‘Kundalini’ sleeping at the base of our spine. These energy channels meet in 6 major places providing the basis for 6 of the 7 major chakras in a human body. There’s that number 7 again. These energy centres all have individual names and attributes. They are connected to musical notes, elements, worlds, mother-power, colours, lotus flowers and deities. These heptads will be discussed in later parts of this article. Suffice to say for now that the number 7 continues to raise its head and hold sway over human consciousness. Returning to the energy channels or nadis, I will finish this introduction by identifying their planetary connections and attributes. The 7th and final major chakra is known as Sahasrara and is located variously in the brain or the crown of the head. At each of these intersections, the nadis come together creating 7 chakras or power centres within the body. In the next article I will be discussing the attributes of the heptads linked to the chakras. I am so interested to learn about Chakras as I have recently started practising Nicheren Buddhism. I would love to learn as much as I can. Welcome to Timberwolf HQ Angie. I am very pleased that you found this article of benefit. That is one of the reasons I created the site. As a person practising Buddhism, would you consider joining our free forum at Seeker of the Way? It would be wonderful to have you share your learning and wisdom. Practicing yoga can really change your life. Unnecessary energies will be released while the good ones will be retained. In this way, you can build a balance life. Thank you for your comment. I greatly appreciate all positive input to my articles. I hope that you can come back again soon and read more. More on kundalini shakti… its miraculous powers… how dominating kundalini shakti human beings finally gained success in life… reached stage of enlightenment (kaivalya jnana) in the end! The practice of kundalini shakti… awakening kundalini energy is necessitated for realizing full potential of human beings! The awakening of kundalini becomes possible by practicing absolute celibacy! Very cool. Thank you for the information. .-= BjornAntonio´s last blog ..http://BjornAntonio.stumbleupon.com/review/33078016/ =-. My cup of tea. Perfect. Thanks. .-= Roby07´s last blog ..http://yobaba.stumbleupon.com/review/32338567/ =-. Very timely! 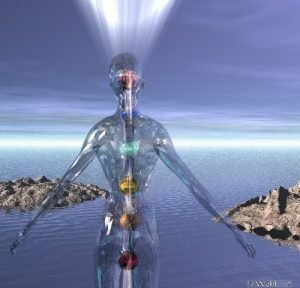 I am currently doing a small project involving chakras ..
.-= Yobaba´s last blog ..http://solarstone.stumbleupon.com/review/3561095/ =-. Great summary, images and links. .-= Somone´s last blog ..Blogging Down Under With The Thesis Theme =-.